Family Meals on Christmas Eve and Christmas Day in Raleigh, N.C. The holiday season is a magical time filled with family, friends, giving, happiness and indulgence. This year, give your gift-wrapping hands a break and head out to enjoy one of the restaurants open on Christmas Eve and Christmas Day in Raleigh, N.C. Here are just a few places, and we&apos;d love for you to share your favorite Raleigh area holiday meals in the comments below! 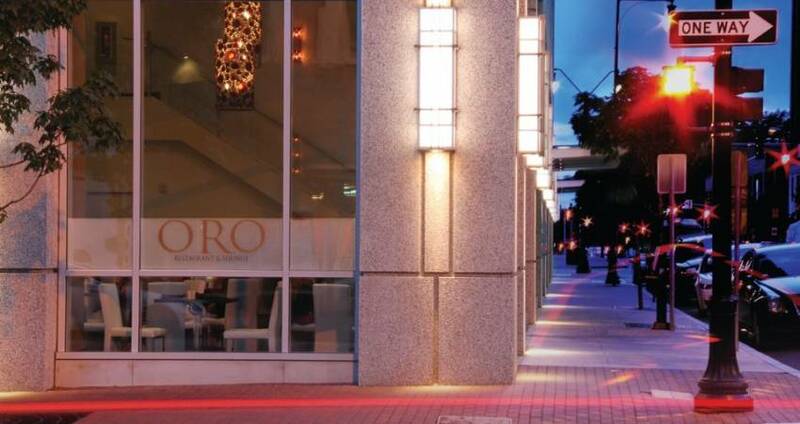 Dine out in style on Christmas Eve in downtown Raleigh at ORO Restaurant & Lounge. Open on Christmas Eve from 5-9pm, ORO will be serving seasonal food and drinks around their massive Christmas tree. ORO&apos;s dishes are designed for sharing and are brought to the table steadily and continuously throughout the meal—perfect for families both large and small. Make a reservation at Italian neighborhood eatery Farina for the First Annual Feast of the Seven Fishes on Christmas Eve. The $45-per-person meal will feature clams, mussels, calamari, flounder, swordfish and more to complete the seven fish dish. The meal is served family style and comes with salad, Italian bread and spaghetti. Plates Kitchen in downtown Raleigh is featuring a special menu available from 11am-7pm on Christmas Day. The whole family can share various small plates of roast goose, ham biscuits or quiche Lorraine. For those with a Santa-sized appetite, main plates like the Christmas roast paired with the Christmas rice pudding should fill you up. To some, it&apos;s a tradition to dine on Asian cuisine on Christmas Day, and Fujisan Japanese Steakhouse will be open to fulfill. The steakhouse features chefs cooking your food right in front of you, along with a little show featuring juggling utensils, flipping a shrimp into his pocket, arranging onion rings into a fire-shooting volcano and more.